House training is probably the first thing you’ll start teaching your Jack Russell puppy. The process of learning is easier and faster if you are patient and consistent. Also, get all your family members familiar with training techniques and rules you are using and make sure they all stick to them. There are few different methods you can use to train your puppy but all of them use some basic rules. Choose whichever one is appropriate for you; be patient and you should see results soon. Monitor your puppy from the beginning, they have a lot of behaviors and signs which can tell you that they need to go outside. Most common signs are sniffing (trying to find the right spot), walking in circles, suddenly stopping doing something, changing behavior and starting to squat. If you see some of this behavior, or some other specific behavior your puppy has before eliminating, immediately take your puppy outside. 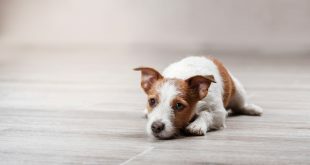 Usually puppies have to go outside after eating, drinking a lot of water and after sleeping or having a nap, so take your Jack Russell outside as soon as possible after these activities. Caring for your puppy outside can be the fastest and easiest way to get to the desired spot. 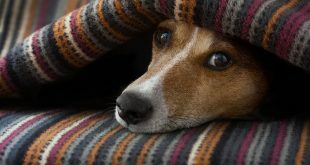 While you are opening a door of your house or apartment and leaving, tell your dog few times a word you want him to connect with potty training, like “Let’s go outside“ or “Let’s go potty“ and say it in a reassuring voice. Use whichever word you prefer and use it every time so your puppy can connect it with potty training. When you get outside to a desired spot, wait for your little Jack Russell to do his business and praise him while he is doing it and give him a treat immediately after elimination. Show your puppy that you are happy with his behavior because he is more likely, then, to repeat it. Use a leash because there are a many distractions so a puppy can easily wander away and forget about peeing and pooping. When you expect your puppy to eliminate don’t play with him, stand still and leave playing for later. 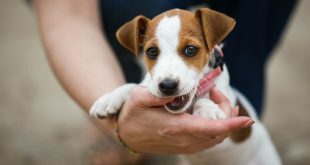 If you don’t want to take your Jack Russell terrier puppy outside before he is fully vaccinated, you can use puppy pads and teach him to eliminate in a desired place. The scent of a puppy pads attracts a puppy to pee on them. If you are using pads also praise your puppy while he is using them. If you are leaving your puppy unattended for some time, firstly take him for a walk, praise him after eliminating and than you can leave him at home. Bear in mind that puppies don’t have control over their bladders and bowels so don’t leave him alone for a long time. The length of time a puppy can be unattended is about equal to his age in months (3 months old – 3 hours, 4 months old – 4 hours, up to 6-7 months). A crate can help in house training, but must not be overused. When you leave your Jack Russell puppy in a crate it should be just enough for a dog to stand up, turn and stretch in. This method is effective because puppies are naturally programmed not to eliminate in their dens. Always leave a bowl of water in your puppy’s crate. Don’t leave your puppy longer than he can control himself because he won’t be able to hold it anymore and will eliminate no matter if he is in his den. As Kala arrived home she started her house training process. As she was with me all the time it wasn’t a problem to monitor her. I watched for every sign of suspicious behavior and immediately took her out. As every dog has his own way of showing his needs and intentions, we needed some time to adjust so we had some accidents and some unnecessary walks. But that is normal and every dog owner should be prepared to do some cleaning. I used “Let’s go out“ every time I took her for a walk and praised her like she did something amazing. If I caught her while eliminating in the house, I said a firm “NO“ and immediately took her out, and if she finished outside I praised her even more than usual. I didn’t use nose rubbing, jelling or hitting – these negative methods can be replaced with much more effective positive reinforcement. If I didn’t catch her in the act, I just cleaned the mess. Dogs can’t connect your jelling to anything other than what they are doing at the moment so it is inefficient. Very soon she developed that significant look when she needed to go outside so it was a bit easier. We had this same routine every day and if I had to leave her with some other member of my family they did the same. Of course, they were all familiar from the beginning with all the training methods I was using. That way we avoided confusion. With learning house rules she developed her own way of showing me that she needed to go out. I took her outside every time she showed me she needed to go, without exception. That way she learned she could ask me any time if she needed, even in the middle of the night. I know that no one wants to walk a dog in the middle of the night, but if you are asking your dog to stick to your rules, give him a chance to do so and don’t break your own rules. Which of these tips did you find useful? Do you have some other tip that worked for your puppy? Please share it below in the comments. 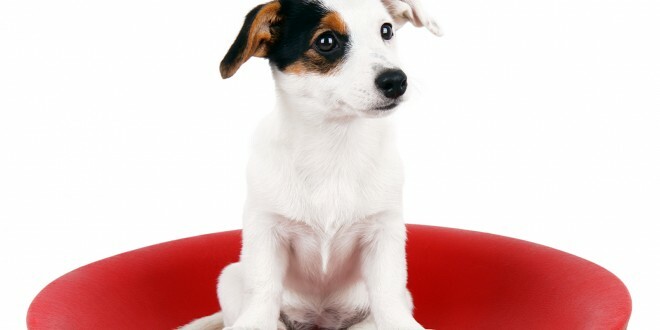 Lear more about socializing a Jack Russell Terrier puppy in my article. Hi Robert, for a start get a large one to expand the area, but you can slowly move to smaller ones once your dog gets a hang of it. Our JRT got off to a good start but went downhill rapidly after she was fixed. How can we get her back on track? I feel like she is ruining our lives. We take her outside, she doesn’t do her business and then comes inside and immediately squats. Any ideas on how to get her back on track? Hi Annie, I think you should take her out any time you think she might have to pee and wait outside for her to do it and then reward it like mad (with treats and really kind words, like she did something awesome). Also, when you see she’s going to pee inside, don’t punish her, just stop her immediately and take her out, also praising her like crazy. I don’t think she does that on purpose, just in spite you, so don’t feel like she’s ruining your life. Maybe you’ll have some problems with her for some more time, but one day it will all settle, just be patient. Thanks a lot for the kind of perfect topic I have not a lot of information about it but I have got an extra unique info in your unique post. !